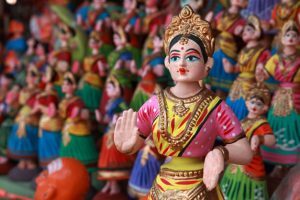 Geographical Indication is primarily an agricultural, natural or a manufactured product (handicrafts and industrial goods) originating from a definite geographical territory. Typically, such a name conveys an assurance of quality and distinctiveness which is essentially attributable to the fact of its origin in that defined geographical locality. 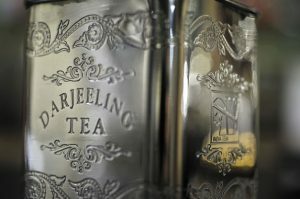 People with a malicious intention to sell other variety of teas with the title/label “Darjeeling” can be punished. Some examples are Champagne, Darjeeling Tea, Chanderi Saree, Kanchipuram Silk Saree, Nagpur Orange, Bikaner Bhujia, etc. A traditional saree made in Chanderi district of Madhya Pradesh. These are produced in three kinds of fabrics namely pure silk, Chanderi cotton and silk cotton. It is famous for its fine texture and zari woven work. Centuries old special weaving techniques used in its manufacturing. Traditional coins, floral print, peacocks and geometric patterns are popular motifs used for these sarees. 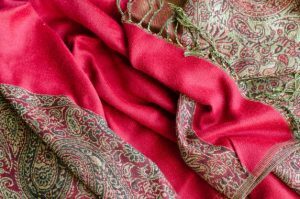 The Chanderi fabric is known for its sheer texture, being light weight and a glossy transparency which sets it apart from all other fabrics. There are 3,500 spinning yarns in working condition presently and provides livelihood to more than 18000 people engaged in this industry. Since the beginning, the buttis on the fabric are hand woven using handlooms. In 1910 the Royal family of Scindia brought the Chanderi saree under their patronage. Asharfi butti being the most famous one, was earlier only used for the Royal family. The application for Geographical Indications registration was filed by Chanderi Development Foundation and was granted in 2005. Mysore sandal soap is manufactured by the Karnataka Soaps and Detergents Limited (KSDL), a company owned by the Government of Karnataka in India. The manufacturing of this soap started in 1916 when Krishna Raja Wadiyar, the King of Mysore set up a soap factory in Bangalore. This soap has completed its 100 years in the market. Factory was set up because there were excessive sandalwood reserves in the Mysore kingdom in pre independence era. It is the only soap in the world which is manufactured using 100% pure sandalwood. It is famous for its pleasant smell and overall quality. In 2006, cricketer Mahendra Singh Dhoni was appointed as the first brand ambassador of this soap brand. About 85% sales of this soap are from Tamil Nadu, Karnataka and Andhra Pradesh. KSDL, the company that manufactures this soap is largest of its kind with manufacturing capacity of 26,000 tonnes soaps per year. It is a variety of tea leaf from Darjeeling district in West Bengal available in black, green, white and oolong varieties. When properly brewed, it gives a thin-bodied, light-coloured infusion with a floral aroma. Arthur Campbell, who was a civil surgeon of Indian Medical Service in pre independence era, was the first person to experiment this variety of tea plantation in Darjeeling in 1841. There are 78 tea estates in Darjeeling hills which have been given the right for plantation of this tea by the Tea Board of India. These estates cover over 17,500 hectares of land, producing over 9 million kg of tea per year and engaging about 50 percent people of Darjeeling district. The Darjeeling tea logo was launched in 1986 and since then it has been a hallmark of excellence and represents high quality muscatel flavoured tea only to be found in Darjeeling. The logo was launched to control the circulation of fake Darjeeling tea leaves by fraud producers. This tea is also available in scented, blended, seasonal and flavoured varieties. It was the first Indian product to be granted Geographical Indication protection in 2005. Blue Pottery is a well-recognized traditional craft of Jaipur, Rajasthan. It derives its name from the striking blue dye used for painting this pottery. It has a Turkish-Persian origin. It is popular for its vibrant appearance and beauty. The dough for the pottery is prepared by mixing quartz stone powder, powdered glass, multani mitti (Fuller’s Earth/Fuller’s Clay), borax, gum and water. No clay is used. They are fired at very low temperature which makes them fragile. The whole process is very tedious and time consuming. The items of blue pottery range from decorative items such as ashtrays, vases, coasters, small bowls, tiles, door knobs and jewellery boxes. The use of blue glaze on pottery is an imported technique which was first developed by Mongol artisans. This technique travelled from the East to India during Islamic invasions. Blue pottery industry provides livelihood to a lot of people in Jaipur. By 1950s, blue pottery had vanished from Jaipur. Then in 1960s it was re-introduced by renowned painter Kripal Singh Shekhawat with the support of Rajmata Gayatri Devi. It was given the GI tag in 2009. Under Articles 1 (2) and 10 of the Paris Convention for the Protection of Industrial Property, geographical indications are covered as an element of IPRs. They are also covered under Articles 22 to 24 of the Trade Related Aspects of Intellectual Property Rights (TRIPS) Agreement, which was part of the Agreements concluding the Uruguay Round of GATT (General Agreement on Tariffs and Trade) negotiations. Geographical Indications in India is protected under the Geographical Indications of Goods (Registration & Protection) Act, 1999 and the Geographical Indications of Goods (Registration & Protection) Rules, 2002. Why should GI be protected in India? The economic potential of these goods is enormous. Provides legal protection to Indian Geographical Indications which in turn boost exports. Promotes economic prosperity of producers of goods produced in a geographical territory. 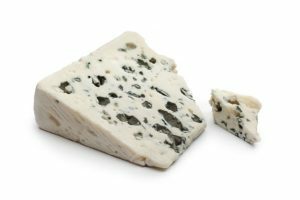 How is a geographical indication different from a trade mark? A trade mark is a sign which is used in the course of trade and it distinguishes goods or services of one business with those of other businesses. A geographical indication is an indication used to identify goods having special characteristics originating from a definite geographical territory. Facilitate protection of the collective rights of the rural and indigenous communities in their indigenous knowledge. Ensuring that the entire community which has preserved the knowledge and has passed it on with incremental refinement over generations, stand to benefit from the knowledge and that this is not locked up as the private property of one individual. Knowledge remains in the public domain; the scope of protection is limited to controlling the class and/ or location of people who may use the protected indication and the rights can potentially be held in perpetuity as long as the product-place link is maintained. GI holders do not have the right to assign the indication, thus, preventing its transfer to non-locale producers. Given its commercial potential, legal protection of GI assumes enormous significance. Without suitable legal protection, the competitors who do not have any legitimate rights on the GI might ride free on its reputation. Such unfair business practices result in loss of revenue for the genuine right-holders of the GI and also misleads consumers. Moreover, such practices may eventually hamper the goodwill and reputation associated with the GI. Registration and better protection of geographical indications relating to goods in India. The Act would be administered by the Controller General of Patents, Designs and Trade Marks – who is the Registrar of Geographical Indications. The Geographical Indications Registry is located at Chennai.